The Dunham School Site Council reviews the school curriculum and site needs. The SSC makes recommendations to the governing Board of Trustees for improving the educational program at Dunham. 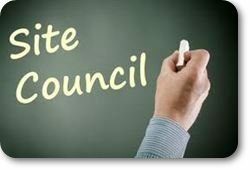 The Site Council consists of five parent members and five members from the school staff. The School Site Council usually meets the 3rd Monday of each month, at 2:45 p.m. All meetings are open to anyone that would like to attend.